Seeing him embracing people, kissing babies and visiting the favela of Varginha moved me to tears. My heart was deeply affected as I witnessed his interest in people, his desire to meet Christ in others. 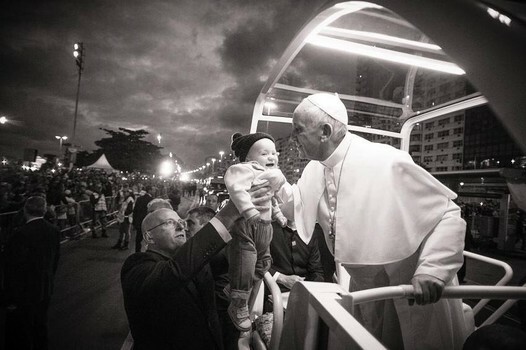 I grew excited and consoled about Papa Francisco's witness. I accepted his example as an invitation. He is showing us the way. We are called to live simpler, visit the sick, pray with passion. The Pope said it a few times during his time in Brazil, “I want the Church to go into the streets.” He told all the people he met, specially those in drug rehab, “You are not alone, the Church is with you.” My heart was ignited by his example. Jesus knocked at my door and said, “I want you to be more like Francisco”. I have had a love/hate relationship with WYD theme songs in the past, but this song – Esperança do Amanhecer (Hope of Dawn) – moved me to pray. Its lyrics engaged my heart: Christ invites us/ Be my friends...He sends forth/ Be missionaries. It beautifully captured the theme of WYD in Rio, “Go and make disciples of all nations” (Mt 28:19). We are called to go beyond the confines of what is humanly possible. This theme song helped me to understand how to do it. It's not just that by loving we go beyond our limits to new frontiers, but as the lyrics say, there are no limits to our love. This awareness allowed me accept Pope Francis' invitation to “go without fear to serve”. As WYD unfolded, I had several moments of heartfelt gratitude for the Church. When an old lady who was commenting on Brazilian National TV stated that she thought the Church was irrelevant, but her experience of witnessing WYD showed her that she was mistaken. When Cardinal Dolan stated in his catechism session, “Hope means that God makes and keeps his promises”... and “God uses his Church to promote and keep his promises”. Speaking about the harm and pain caused by abortion, Sean Cardinal O'Malley spoke about the beauty of adoption. “We need as a Catholic community to promote adoption. When I was growing up, everyone had a friend who was adopted.” I was moved by his statement. I also felt invited to learn and to do more to promote adoption. Cardinal O'Malley called upon us to take steps to change society’s negative perception of adoption so that it is seen as a better option than abortion for women facing a crisis pregnancy. I want to be part of this process. I certainly felt that my experience of this WYD was close to my experience of participating in WYD from before. I was not simply an observer. I became a pilgrim. My heart was moved, engaged and transformed. 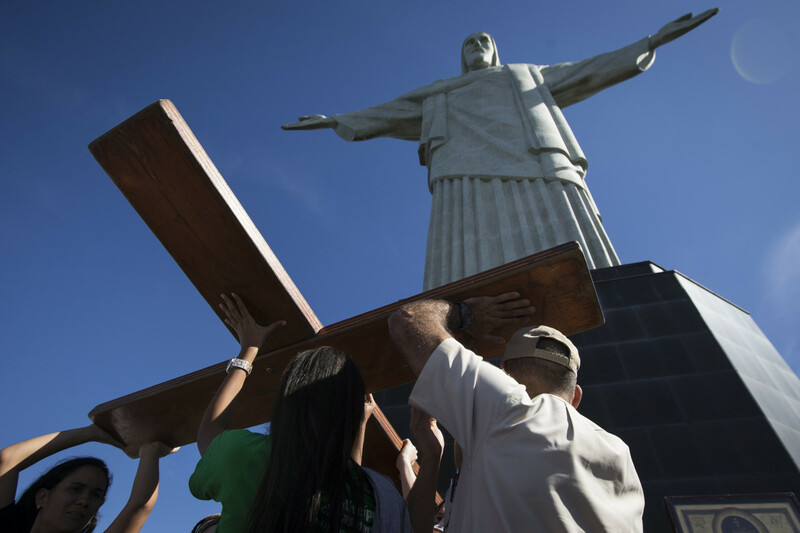 My experience of the WYD in Rio from afar was a powerful encounter with the Divine Teacher. It is our encounter with the Crucified and Risen Lord that makes discipleship possible. As our hearts are engaged by Christ, we find ourselves equipped to go and make disciples for our Lord. Santiago, I was also moved by many of the things you mentioned. In particular, I was present at the catechetical session of Timothy Cardinal Dolan--if it is the same one you heard; I know it was on the radio--and it was such a blessing for our boys. And I am also deeply moved by your recollections and fine writing. May the God who is love continue to move our hearts so that we may live lives of praise, reverence, and service for love of Him and our neighbor. God bless you.